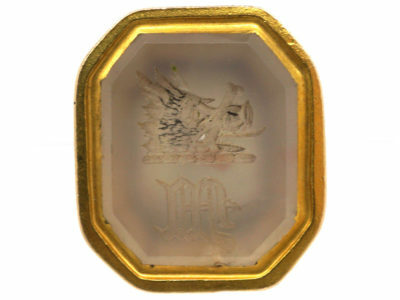 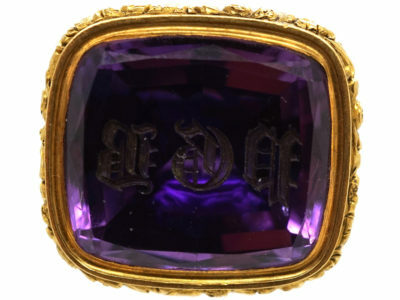 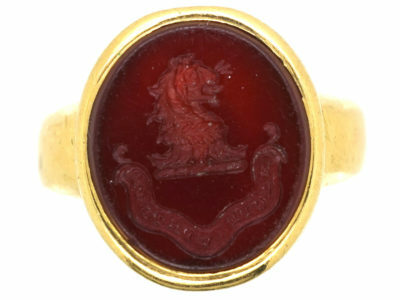 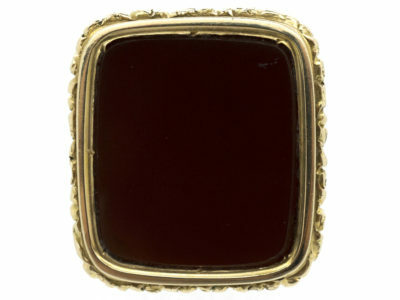 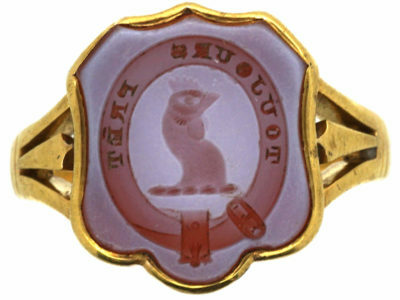 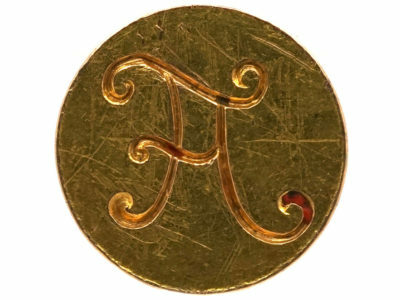 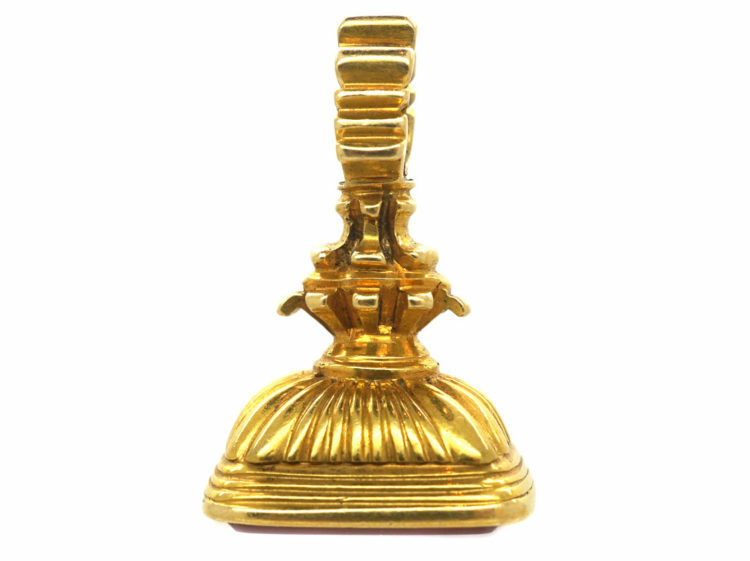 A neat 18ct gold seal that was made circa 1840. 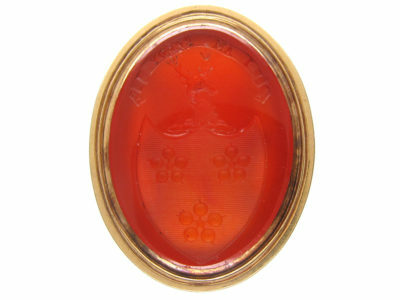 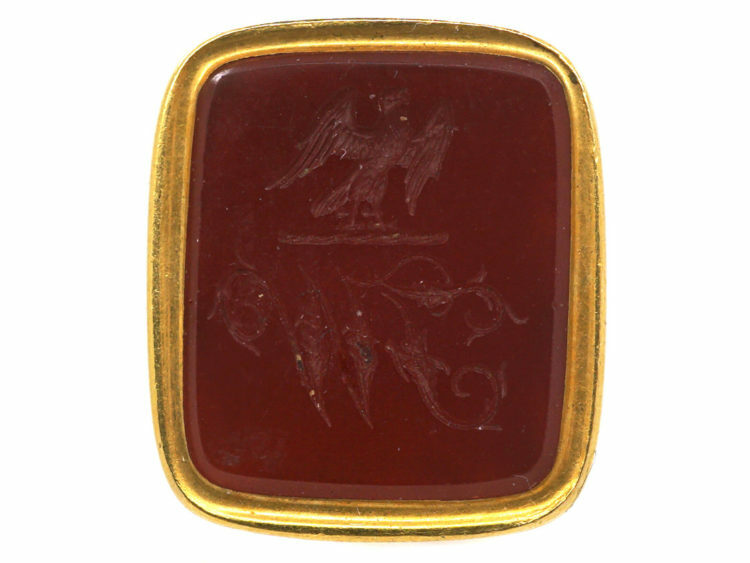 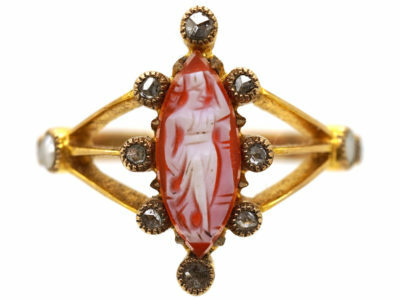 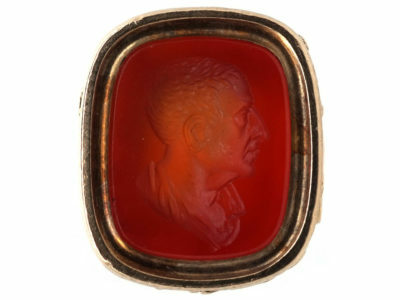 It has been set with a carnelian that has an intaglio of an eagle above a monogram “J W”. 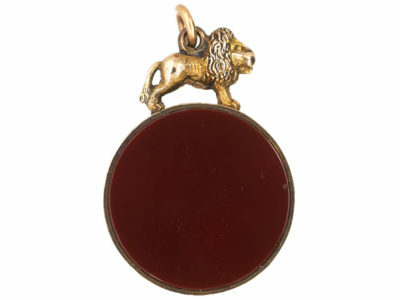 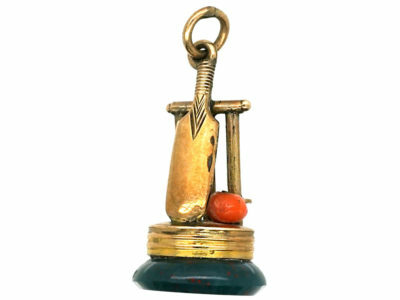 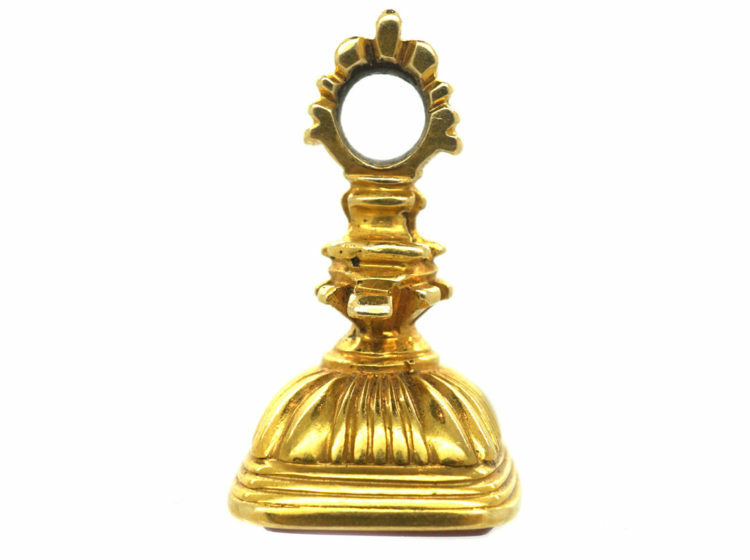 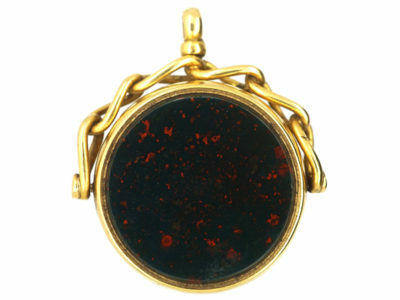 This style of seal is easy to wear on its own or with other pieces on a chain.